Penske Commercial Vehicles has delivered an MAN TGX D38 truck to DJR Team Penske for the 2017 Supercars season. Penske Commercial Vehicles delivers the new MAN TGX D38 to DJR Team Penske. The recently launched D38 brings is tailored for Australian conditions and features a 15.2litre, six-cylinder inline engine with a very useable power band. With 560hp at 2,000ft-lb and maximum torque from 930rpm, the D38 is perfectly suited for long distance travel across the country with B-double configurations making it an ideal fit for DJR Team Penske. 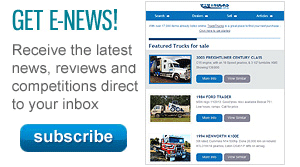 Penske Commercial Vehicles General Manager – Truck Sales, Mark Mello, praised the D38 saying the MAN flagship will meet the requirements of the demanding championship. "In Australia, as in Supercars, customers demand productivity and efficiency and that’s what the D38 delivers," said Mr Mello. "With 2,700Nm of torque available in all gears at all times, and fuel optimisation features such as MAN EfficientCruise, the D38 achieves an excellent balance of performance and cost efficiency. "All this makes the D38 the ideal tool for applications such as transporting DJR Team Penske which will travel the length and breadth of the Australian countryside over the course of 2017." 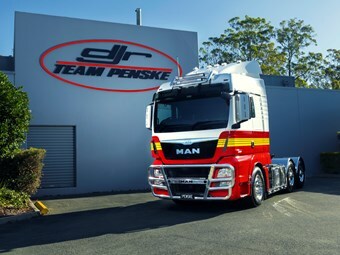 The delivery of the D38 extends DJR Team Penske’s association with the MAN Truck & Bus brand, having previously been featured on the racecar liveries. "Over the last two years, MAN has joined us as naming rights partner at Pukekohe and Sydney Motorsport Park," said DJR Team Penske Managing Director, Ryan Story. "The MAN brand was featured on the #17 Falcon when we secured our first podium finish for DJR Team Penske, so we have fond associations with MAN. "The D38 will be a welcome addition to the team, giving us a cost effective and high performance solution to transport our cars and equipment." The MAN TGX D38 is now available through Penske Commercial Vehicles, and its authorised dealer network. 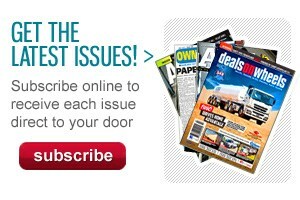 Full customisation is available.